Is Fibromyalgia Just Another Word For Lazy? You’re lazy. You’re a whiner. You’re attention seeking. It’s all in your head. Fibromyalgia is just another word for lazy. Feel free to add more. I’ve heard them all. Let me get this straight, the medical profession conspired and effectively implemented a fake syndrome just to cater to lazy people. Sounds perfectly reasonable. It’s not as if doctors have anything better to do. Or have reputations and licenses to protect. Or have ethics. And what exactly would their motivation be? Why would they make up an illness? Aren’t there enough illnesses? Cancer alone should keep them hopping. There are many health issues that can not be found through standardized testing, for example: Multiple Sclerosis, ALS, Cerebral Palsy, Parkinson’s, Autism, Lupus, ADD/ADHD, wheat or gluten ‘sensitivity’, acute back pain, as well as many mental health issues. Does that mean they don’t exist? Does that mean the people that have these issues don’t suffer, don’t feel, don’t actually have these medical challenges? People like to mock. I get that. I’d guess those same people would want doctors and people to believe them if they were ill, even if there was no standardized testing for their illness. To the best of my knowledge, there’s no standardized testing for ignorance or stupidity yet either, but I’d buy stocks for that future booming business. I didn’t ask to be ill and I certainly didn’t ask to be mocked and harassed because I’m ill. Even if it was just ‘in my head’, shouldn’t anyone with a health issue be treated with dignity and respect? Maybe we need a standardized test for intolerance. I’m in a relationship with someone suffering from fibromyalgia. I really feel for him. Constant pain but he never gives in and continues to work through it. He would give anything to be pain free and to live a normal life. I’m sure there are a lot of reasons, but I never got how hurting others would make you feel better. Howdy! I simply wish to give a huge thumbs up for the nice information you have got here on this post. I remember before a doctor finally said I had myalgia, they almost made me seem as if I was a hypochondriac and attention seeking. Living with invisible and chronic pain is tough and terribly misunderstood. I have had this illness plus chronic fatigue since the 1980s. Back then Doctors did not believe this syndrome. I knew something was wrong with me and I had test after test that came back negative. I have the trigger points: the clavicle area, behind my knees, certain parts of my arms, DON’T touch my feet! LOL, my calves in certain places. 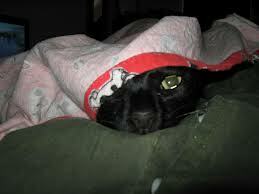 Just Saturday and Sunday I slept all day long. I go through spells of this but it seems lately it is happening all the time. What doesn’t help is that my back has been damaged after 47 years of dog grooming and in the 1970s and 1980s you didn’t see many hydraulic tables so you bend and constantly strain your back. I worked by myself and would pick up, up top 110 pound dogs off the floor to the table and then to the bath tub. Went back to college and got my BS in paralegal studies but still had to groom to add the extra income in order to pay my mortgages. My places of employment have been good and accepting of this syndrome when I would need to take off and do nothing but sleep. Pain doesn’t help. People will say it is depression but to me it is an never ending cycle and which comes first? Fibro >>Depression>>Fibro>>Depression. I am just messed up all around and nothing seems to improve it. Tried Lyrica but that didn’t help so I was put on neurontin. It is ok but truth is nothing seems to stop it and it is so debilitating. I was finally approved for disability based on the Fibro plus many other problems. There are still doctors who don’t believe. I started reading about chronic fatigue and fibro way, way back in the early 1980s and would take articles to doctors but they just said depression. So here I am at the age of 63 and since I was in my 30s I have dealt with this and have not had a day where I woke up not tired. Gone were the days I would wake up and just love the day or the breeze in the air, going to the beach, enjoying anything at all, having so much energy I would work 16-18 hours to make the money I needed. This illness broke up a relationship I had with the love of my life. Too tired one evening and I had promised we were going to do something with the kids, and I was just so tired and said I could not do it, and he pressed and pressed, and I finally said leave me alone and that is what he did for a while. He would call or come by where I worked and I really thought we would get back together but I never said anything. If I had demanded I might have had him back. But no. He married a woman 19 years his junior. This illness ruins lives and people and doctors need to see this and that no one would want to suffer from this illness. I know I have things in my head I want to do and I plan it but just can’t do it. Very very sad life with Fibro. That certainly sounds like you’ve been through a lot. I totally get it. Better we have boils as proof? Love your comment about ignorance and stupidity. Hopefully a vaccine for those is in the works! :). You can whine to me anytime! i have fibro rheumatoid arthritis since I was 35. I know people are skeptical about my illness too. One lady said I should be able to work as a librarian because I could push the cart to put away books. I stay at home tired all day. It is sad. I can’t play with my grands the way I would like. She wants to play twister. Forget it. I feel so bad about not being able to go for a simple walk. I am so glad I have a lovely, understanding husband. My daughter is used to my illness. When she was born 13 years ago, I was already disabled, but still had to work. It was so hard working sick. People did not understand why I missed so much time. I had to have two knees replaced too. Now like I said I receive disability and retirement pay. Sharing Saturday ~ I have been harassed and mocked due to my many health issues (one being fibromyalsia). This is a great blog post and I just had to share!! 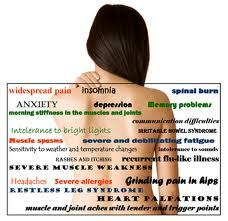 Fibromyalgia has been misunderstood for a very long time. As a nurse in the ’90s, I remember that when someone came in with that diagnosis their chart was red-flagged and the patient was thought to have a mental problem. Things are much better now, but there are still some out there. That’s so sad. Unfortunately, there seems to be some regression and people are becoming less tolerant, about so many things. My father deals with Transverse Myelitis and Mononeurinitis (not sure if I got that right, but basically, his immune system attacked his nerves). Me… my conditions are a little more clear cut, with some lower back issues- discs wearing out, sciatica, other nerve damage. But the local MS society invited us in with open arms. I did water exercises with them and an arthritis group for a handful of years. So I do see that chronic conditions involving the nervous system aren’t easily noticed, and people indeed can be quick to judge. But I’ve had too many friends with such conditions (including fibromyalgia), and I think on my own experience– and, I just can’t. I’ve tasted the pain… I’m tasting it right now because it’s raining outside, even though my laminectomy surgery last January was very successful. So sorry about your illness but I learned something today. 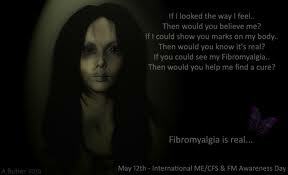 So when I meet someone who has Fibromyalgia I’ll understand. I think sometimes it’s ignorance. A friend of mine has Vitiligo, when I first met her I thought she got burnt and as our friendship grew I also found that people avoided sitting next to her because they thought it was infectious or a ‘curse’. Ignorance is a terrible disease too. Yesssss! Oh how I’m bored of the ignorance in others. I’d love nothing more than to be able to go back to work, hang out with friends randomly or be able to plan ahead, instead I’m in a he load of pain (as well as everything else) and being called lazy because I can’t go out much. Oh and I’m so lucky I don’t have to work apparently… yes losing your independence is really lucky. Having to quit a job you were in for almost a decade because you struggle to life, never mind work. So lucky. Hmm! I really, really hope people will someday become less ignorant and more compassionate, but sadly that day isn’t here yet. My dad has it as well! From one Fibro to another. Preach. I have Joint Hypermobility Syndrome, of which fibromyalgia is one symptom. The most annoying thing is when people say, “But you look so well!” because my face has good colour (that’s from hot flushes!) and assume I’m not in pain because I am doing my best to get on with life despite constant pain etc. I am far from lazy. You and all sufferers have my sympathy/empathy; to have a condition that most have either never heard of or which they believe doesn’t exist, makes living with said condition even harder. It’s strange, isn’t it, that people only seem to have empathy or sympathy for those that look sick enough for their approval. Amen I agree 100 % fibromyalgia is real, debilitating, and stressful. My cousin suffers from it and COPD. She worked hard all her life as a single parent as a nurse, and this is what she struggles with daily. There’s some days she can’t leave the house with the pain she suffers with. Thank you for writing your honest and much needed viewpoint on this misundetstood medical condition. It’s an extremely misunderstood illness. I’m sorry your cousin has such suffering. People can be so cruel….and ignorant. I have something that isn’t diagnosed so I can’t label it, but in general, I have to explain so much about why I tire easily, why I might cancel, why I fall behind. It’s an extra bit of stress where stress is not needed. People need to have more tolerance, I’m convinced it would make them happier too. We do what we can, if it’s not good enough for some, that’s their issue, who needs the stress? I know I’ve read this before but I’ve re-read it and need to say that it’s excellent. People who can barely think believe they have the right to decide whose pain is valid and whose isn’t, and you’ve nailed it. Most of this name calling and intolerance seems to come from people who delight in being misinformed. People paid Fox News over 700 Million dollars in profit in 2010 to poison political discourse and to give them easy scapegoats for the messes they’ve made of their lives. In my own life the worst stuff comes from people who don’t know me and who will never meet me but who decide that their uninformed disbelief of DID gives them the right to harass me. I will never understand people like this. The idea that in online situations we should err on the side of accepting that we can’t know anything with certainty seems simple enough to grasp. People cling to their certainties as if they are the difference between life and death, and maybe for some people that’s how it feels. You’re so right, Rob, I can’t understand it either. It’s so perplexing. I really don’t know where people find the time or energy to be so judgmental and so quarrelsome. I really don’t know why people care if someone else is ill, about their religion, race, lifestyle choices, etc. I don’t know…very often these same people are the ones who go trolling, invade a persons blog, destroy art groups and try to tell people who to marry. Thank you so much for sharing this important message this morning. I’ve worked in healthcare industry for over 25 years, and my heart still hurts when people are reduced to patients and/or a diagnosis. Thank you for taking the time to link to my blog party this morning. I was so pleased to have found your Retro Blog Party, Michelle, what a great idea. I found some lovely bloggers as well (bonus!). Yes, it’s a shame people feel the need to judge people or belittle them. Seriously – you completely made my day. I loved that you embraced the retro – your post was from 2013, right? I do have the best blogger buds in the world. I don’t get to read as often as I like, so I was being selfish and putting them all in one spot for future viewing. Yes, that is over 2 years old, how times flies. Unseen illnesses are often the ones that get the least sympathy but that doesn’t mean the person isn’t suffering. Ignorance is awful. People who don’t get this are lacking empathy. As someone with bipolar disorder, I get it. Before I was diagnosed, I desperately hid my ups and downs for fear of drawing attention to myself and being accused of being an “attention seeker.” That is why I was not diagnosed until I was 40. If only society could accept people as they are instead of some ideals of what we should be, we need Neurodiversity now, the sooner, the better. So so sad. My daughter went through this for many years, with chemical sensitivity. She never stops looking for help and trying out ways to get better. She can now almost control it, many doctors either don’t accept it is real or they don’t know how to treat it. So cheers for you to keep on keeping on. Too often society proceeds on a seeing is believing basis, which is not only silly, but difficult for those with so-called ‘invisible’ disorders. THE ANSWER—NO IT IS NOT!!!!! I do voluntary work with people who have chronic conditions, and sadly ME and Fibromyalgia seem to be the two main conditions that people assume are ‘made up’, mainly because the main symptom is fatigue, which is just tiredness, and everyone gets tired, right? WRONG!! The level of ignorance is shocking, and very upsetting for some sufferers, who feel bad enough about their symptoms as it is. Love your website. Sorry to hear you’re ill. This blog resonates. I have a daughter who is now recovering from being ill for almost five years -being predominantly surrounded by ignorant doctors and health professionals, bar two, who I can only describe as Angels- and if not for the tenacity of my other half and me, she would most like be dead by now. They are all embarrassed now and are trying to cover up their incompetence. It deserves to be a book one day. Maybe once I’ve finished this first one. I wish you a speedy recovery. Thank you kindly, I’m so glad you could drop by. I’m sorry to hear your daughter and your family had to go through that and I’m so pleased to hear things have gotten so much better. Yes, I think it scares people and bothers them, but compassion is the key. The world is full of idiots Donna. Anyone who thinks that fibromyalgia is an excuse for laziness should walk a few miles in your shoes ( you can use an axe to trim their toes to fit ). It’s an insidious illness that I wouldn’t wish on my worst enemy (possibly not true but not provable ). I wish I could take it from you and bring you some relief. Sadly, too true, David. Compassion and even, heaven forbid, empathy goes a long way. I too wouldn’t wish this on, well, anyone, but certainly not you, dear friend, but I thank you kindly for your caring. Hope this week is treating you well. PTSD is another one that can’t be discovered with an x-ray, MRI, or blood test, and because too many people expect to see signs of an illness, etc.they think it doesn’t count. That explains why so many people once thought the sun and stars revolved around a flat earth, and God created the Universe and the Earth with all life six thousand years ago while ignoring and dismissing science and the fossil record of dinosaurs and other ancient creature that went extinct hundreds of millions of years ago. This kind of thinking also explains why so many people can support and vote for a huckster and fraud like Donald Trump. The more ignorant and biased a person is, the higher the odds are that they are easy to fool. I’m thinking of one quote by a very famous historical individual and former U.S. President that explains why there are people who think that illnesses like fibromyalgia and PTSD are fake. Thank you. My week has been good except for a brief run in I had with one of my orbital sanders earlier in the week. Lost some skin off two fingers on my left hand, but I quickly cleaned it and packed the wound with cayenne pepper; then wrapped it in a bandage. It looks like it is healing just fine. Thank you. The pepper stopped the bleeding and protected the wound from infection in addition to speeding up the healing process. Good stuff. “There’s no standardized testing for ignorance or stupidity yet either, but I’d buy stocks for that future booming business.” I laughed out loud, literally, when I read that line. I’d buy that stock too. Yes, I’ve heard those things and more, many times, we need to be more accepting of people’s challenges and differences. No it’s not just a word….it’s a lot of words…chronic pain, trouble sleeping, and not being able to function as you would like. The only way to really know it is to have it, unfortunately. Between that and the RA…sometimes knocks me down! But I get right back up! My daughter was diagnosed with fibromyalgia recently after nearly a year of frustration trying to figure out what–“if anything”–was wrong with her. So sorry to hear you suffer with it too, Darcy. At least you’ve kept your sense of humor! Over the centuries, misunderstood illnesses have been called “evil”, the natural results of differences (aids), emotional problems, etc. Doctors and medicine have saved my life- they also ignored the symptoms until they needed to save my life. We need to be our own best advocates. My SIL has fibromyalgia. I honestly don’t know much about it but I have psoriatic arthritis (think RA) and have similar symptoms. Stinks. Well said! I have several friends that suffer from Fibro. It’s definitely no joke. My heart goes out to all that have to live with this disease. Thanks for sharing your thoughts on it! I get this with depression. Many well meaning friends tell me that I am just bored. Right. Those things are the same. Yes, wouldn’t it be great if we were just bored, how simple life would be. Some people have no compassion, no empathy for anyone or anything. Just look at #FakePresident Donald Trump and most if not all of his cabinet members for examples. They all seem to have Ayn Rand syndrome. It’s sad to see the ends justifying the means. Objectivism is not the answer, compassion and kindness is. Yup, winning isn’t winning if you cheat. I forget where I read this recently but I’m sure the topic can be Googled. The opposite happened. It turns out that it’s families earning livable wages with some extra cash that generates a growing economy. Seattle saw its unemployment numbers drop dramatically as more people had extra money to spend, more people were hired to serve them. Billinoares hoard their wealth and use the power that hoarded wealth gives them to bully everyone else. There are about 500 billionaires in the U.S. The middle class that earns a livable income owns more homes, drives more cars, eats more food, wears more clothing, and goes out to eat in ratios that bury the billionares. The middle class recycles most if not all of the money they earn back into the economy. The better off they are, the more they spend. About 70 percent of the population earns middle or upper middle income. That is 224-million people vs less than 500 billionaires. If all those billionaires ate out every night, they’d never catch up to 224-million people eating out once a week. Destroy the middle class, and that will destroy the economy. Sorry this took me so long to reply, I’m afraid my comment section and I are having a complicated relationship. I know, it’s as though the rich have convinced people to act against their own best interest and reward the rich on top of that. It’s so frustrating that people refuse to help themselves by thinking they deserve to be treated as equals, not as garbage. I’m so glad we found each other in this huge virtual haystack and so pleased to now be a ardent follower of your blog and various social media stuff. I hope we can virtually visit often. The best ideas for standardized testing, I’ve heard, Donna. I identified with a lot of this post. I’m glad I found it, and glad you penned it. Hugs. “Maybe we need a standardized test for intolerance…” – I think you’d find a lot of people “passing” that test. It extends to any illness without an “acceptable” name and/or visible symptoms. Your illness has to be good enough for sympathy. I’m sorry you have to put up with the attitude on top of the illness – it’s not right. I agree, a lot, a multitude might be passing that test. I don’t know why people feel the need to sit in judgement of the lives of others, live yours, not mine. Thanks. Fortunately, my weekend just started. Thank you for including me (I’m #13, #46, #49, #64 and #81 unless I missed any!). Very kind of you to spread the #bloglove.